The Coalition Avenir Québec has followed through on a promise to establish a single rate for school taxes across the province, leading to a reduction in the amount most property owners will be required to pay. The Coalition Avenir Québec government has moved toward establishing a single rate for school taxes across the province, which will lead to a reduction in the amount most property owners will be required to pay. 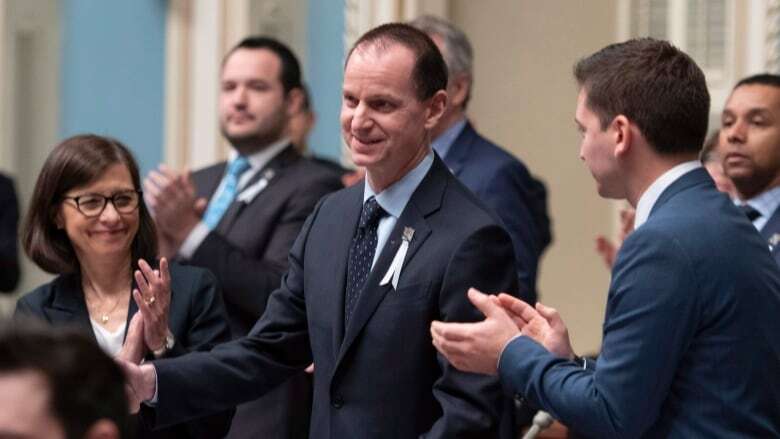 Finance Minister Éric Girard tabled the legislation Thursday. Harmonizing the school tax rate was one of the CAQ's key campaign promises. The change won't be implemented overnight. The CAQ is planning to standardize the rate within four years at the lowest existing rate — $0.1054 per $100 of property assessment — which is already in place in the Laurentians. As it stands, the school tax rate ranges from $0.1054 to $0.31 per $100 of property valuation. Girard said there's "no link" between the tax bill and the CAQ's campaign pledge to abolish school boards. "The idea here is not to reduce any funding to public schools or school boards," Girard said at a news conference. "This is a bill about equity between regions, sometimes side by side." Premier François Legault has said the current imbalance is "unacceptable." The change will result in a savings of several hundred dollars for property owners where the rates are highest. Parti Québécois education critic Véronique Hivon raised concern about how the tax cuts will affect the future of the education network, where "needs are glaring." She said the economic update presented earlier this week did not mention reinvesting in education services. "That means the specialists we expect in our schools, the support for teachers, the value of teaching, the schools that are literally falling apart in Quebec," she said prior to the bill being tabled. Legault has promised the CAQ won't make cuts to education at any point during its four-year term, even in the face of an economic slowdown.